Iceland today announces that it will be extending its market-first trial for the use of Diebold Nixdorf reverse vending machines across England, as it continues its efforts to end the scourge of plastic pollution. 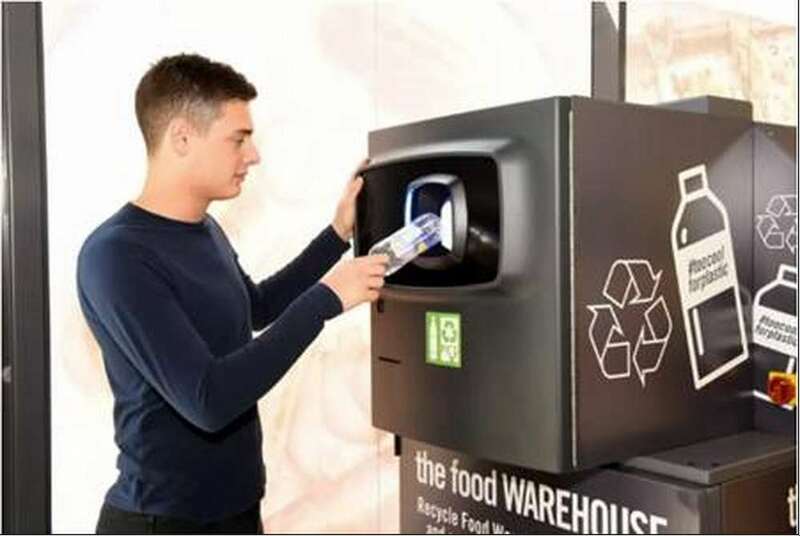 The installation is a first for The Food Warehouse, Iceland’s fast-growing chain of larger stores, and is designed to help the company better understand consumer perceptions and appetite for plastics recycling technology away from London, following the launch of Iceland’s industry-first trial in Fulham last month. Reverse vending machines reward individuals for recycling, by providing money or vouchers in return for empty containers. The Food Warehouse Wolverhampton’s reverse vending machine will accept Iceland’s empty plastic beverage bottles and repay customers with a 10p voucher for each recycled bottle to be used in store. Iceland’s in-store trials come ahead of the launch of the national Deposit Return Scheme which is expected to be launced in the next few years.. The aim is to understand customer reaction to a Deposit Return Scheme and provide the Government and industry with insights that will support the creation of a national scheme. Iceland Food Group’s Managing Director, Richard Walker commented: “Today’s announcement is a further step in our commitment to tackling the issue of plastic pollution globally, following our pledge to eliminate plastic packaging from all of our own label products by the end of 2023. “While our initial trial in London has been a success we feel it is important to include insights from consumers elsewhere in the UK to get a better understanding of the challenges we might face. Retail solutions specialists, Diebold Nixdorf supplied the reverse vending machine for Iceland’s Food Warehouse in store trial in Wolverhampton. Ben Gale, Managing Director of Diebold Nixdorf UK said: “We’re delighted to be working with Iceland to gain insights into the way British consumers want use our reverse vending machines. With over 14,000 devices installed in countries across Europe and around the world, we are global experts in the field and we know how important it is to understand how people in the UK wish to use the machines. Iceland announced in November last year that it would be supporting Greenpeace’s call to the Government to adopt the Deposit Return Scheme for bottles. The company has a long history of campaigning and leading positive change for the environment, being the first UK supermarket to remove artificial flavours and colours from its own brand food and the first UK retailer to commit to removing palm oil from own label ranges.